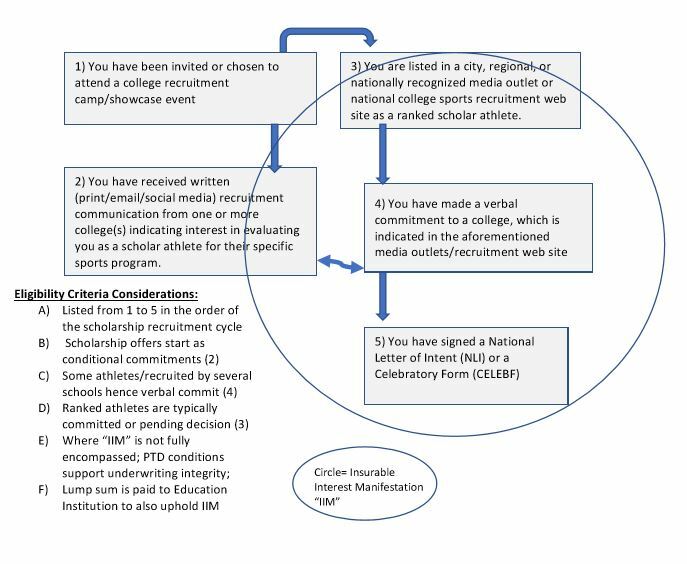 The scholarship recruitment process is typically initiated when colleges/universities contact a scholar athlete demonstrating interest on their abilities and accomplishments on and off the field. By the time the athlete reaches junior or senior year of high school scholarship offers and/or “commitments” are made. The scholarship recruitment process culminates at national signing day when scholarship seniors sign their letter of intent. Based on this recruitment process cycle; there are 5 Sportify eligibility criteria established for coverage application. Each criteria serves to illustrate the recruitment status of the athlete and the manifestation of the insurable interest.